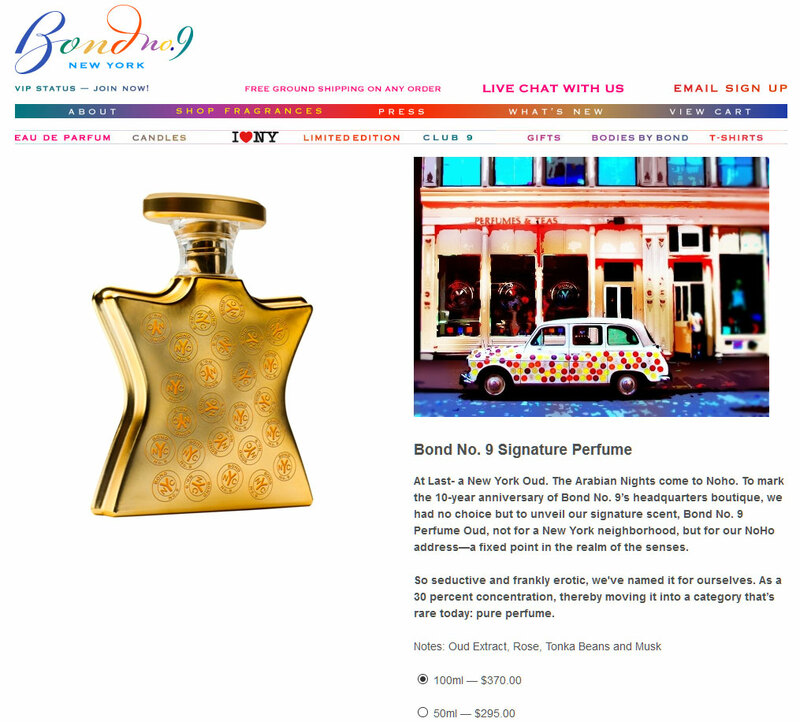 Signature Perfume by Bond No.9 - A classic oriental signature fragrance for Bond No. 9 New York. 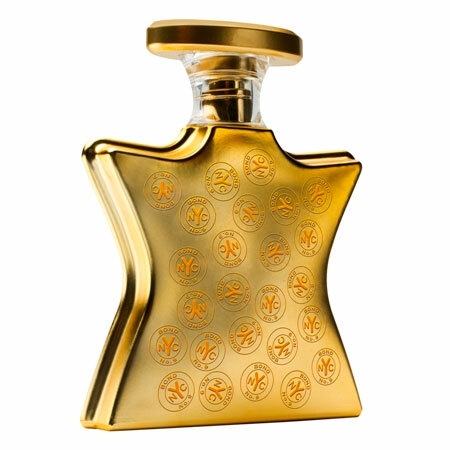 Created by perfumer Laurent Le Guernec, this contemporary interpretation of an Eastern oud scent includes notes of rose, oud, tonka bean, and musk. 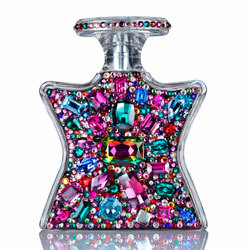 Available in an eau de parfum spray from Saks Fifth Avenue and Nordstrom. Package Design Classic Bond No. 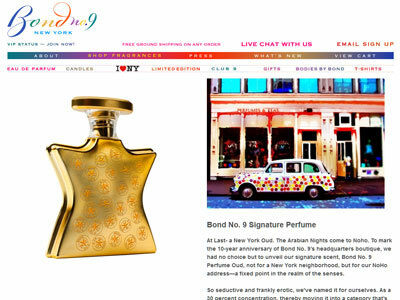 9 bottle with golden finish and company logo designs. In A Flash - Send 2015 off in style with statement lips, shimmery powder, and a (literally) dazzling scent. BOND NO. 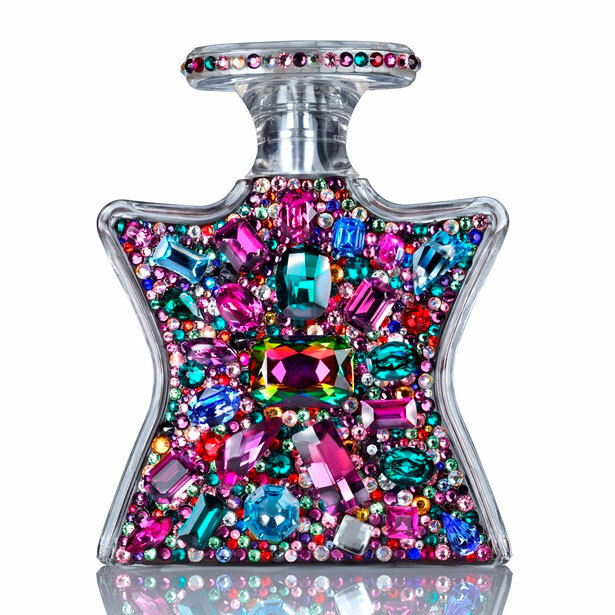 9's classic warm, citrusy scent is lovely, but its Swarovski-adorned bottle is the real star. Don't let the pretty pastel bottle mislead - Les Infusions de PRADA in Oeillet is a woody carnation eau with plenty of spice.